As summer turns to fall, it's a good idea to refresh your memory on fall fire safety tips. Some safety tips are the same regardless of the time of year, but many safety concerns are seasonal, particularly those that involve keeping your home warm. No matter what type of device you use to heat your home, making sure your heating devices and/or systems are in good working order is an important part of learning some fall fire safety tips. Many things can go wrong with heating equipment during the spring and summer months. Verify that everything you need to keep your home warm throughout fall and winter is in good working order before you experience the first cold snap of the season. Get your central heating system cleaned, inspected and serviced by a certified HVAC (heating, venting and air conditioning) contractor every year before using it. If you have a gas heater, make sure that you have a sufficient quantity of fully functioning carbon monoxide detectors installed in your home. Get your chimney inspected each year to make sure that it is safe. Hire a chimney sweep to clean out your chimney every fall. Repair any cracks in fireplaces. Do not every use gasoline to start a fire in the fireplace. Make sure that combustible materials are not stored within three feet of your fireplace. For natural gas fireplaces, get all connections and lines inspected before use each season. Remember that outdoor fireplaces can be just as dangerous as indoor units, and observe all safety precautions when using them. Do not use candles in Halloween jack-o-lanterns. Flashlights are much safer. Make sure that children's costumes are made with fire retardant materials. Use only fire retardant holiday decorations. Verify that all holiday lights and extension cords have been tested by an organization such as Factory Mutual or Underwriters Laboratory. Make sure that there is a sufficient quantity of smoke detectors in your home. 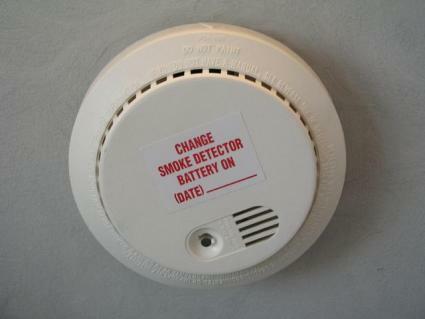 Verify each month that smoke detectors are in working order. Don't leave cooking food unattended on the stove. Make sure all flammable substances are properly stored in safe containers and out of reach of youngsters. Clear your roof and gutters of unnecessary build up of debris, such as pine needles and leaves. There is nothing more important than the safety of your family. Everyone in your home needs to know how to behave responsibly to reduce the likelihood of experiencing a fire. However, because fires can start at any time without warning, it is also very important that the members of your household know how to react in the event of a fire. It's a good idea to review fire prevention and safety tips with your family every fall, and several other times throughout the year.